How many times have you bought a piece of clothing and when it came time to wash that article, you can not decipher the many strange fabric care symbols that appear on the tag. You are not alone if these symbols have you stumped. Do I use bleach? Can I launder this item in hot water? Thanks to cleaninginstitute.org for decoding these laundry instructions in one simple chart. 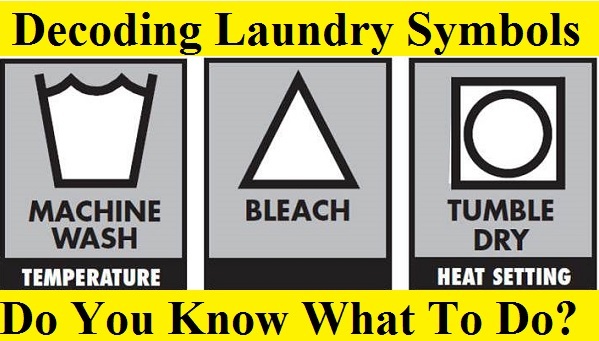 Follow the link below to view the full list of fabric care symbol meanings. Save the list for future reference.